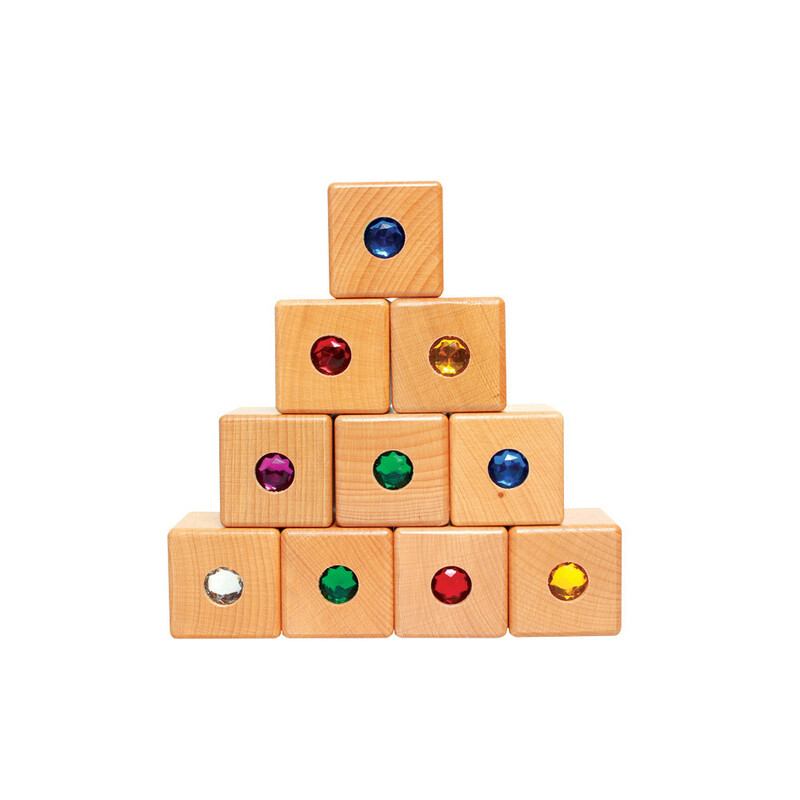 Match these beautiful wooden sensory blocks by their individual sounds or simply by colour matching the gem on top of the block. Explore auditory ability, sound and memory with these beechwood sensory blocks. Each set contains a total of 12 blocks (6 pairs) with 6 different sounds, includes a cloth bag. Age: 3 years+ and under (with adult supervision).